Big bold tone and visuals to die for! 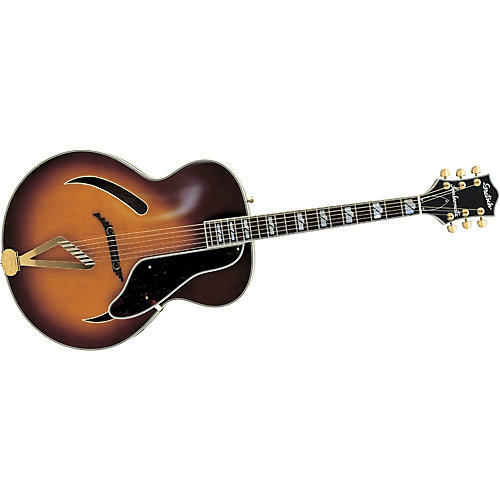 The Gretch G400 Synchromatic Acoustic Guitar has selected rock maple back, sides and neck; fine-grained spruce top; finished in hand polished dark brown lacquer with sunburst shadings, the Synchromatic revitalizes the rich history of acoustic guitars. The edges of the body, fingerboard, headpiece and guard plate are fully bound in extra wide black and ivory celluloid. Other fittings on this Gretch acoustic guitar include the easy-playing, steel-reinforced neck, oval rosewood fingerboard with extra-broad nickel silver frets, "Chromatic" tailpiece and "Synchronized" bridge. Includes case.